Just in time for the holidays, Cricket Wireless is launching a rewards program for its loyal customers. 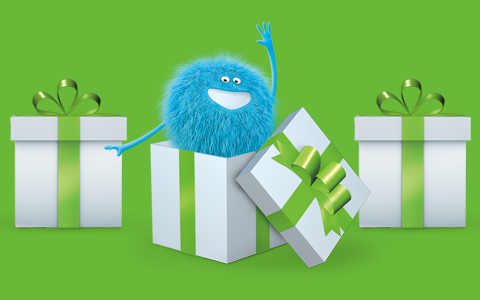 Through a partnership with mPLUS Rewards, Cricket Wireless customers can rack up points to be redeemed for gift cards, contest entries, donations, and more. So how do customers get said points? Things like creating an account, enrolling in auto-pay, and making on-time payments are simple ways to get points. But apps and games that are connected to mPlus Rewards, which totals more than 1,500, can be used also be used. ATLANTA, Nov. 19, 2015 /PRNewswire/ — Cricket Wireless announces a new twist on the traditional customer loyalty program with the launch of Cricket Rewards. The only program of its kind in the no annual contract space, Cricket Rewards gives customers a super easy way to earn redeemable points through the things they do naturally like checking the weather, tracking their fitness, or just being a Cricket customer. Powered by an exclusive relationship with SessionM’s Mobile Marketing Cloud and mPLUS Rewards (the world’s leading mobile loyalty platform), Cricket Rewards is accessible through the Cricket Rewards app, MyCricket app or Cricketwireless.com website. Customers who sign up can start earning points quickly through Cricket activities like opening and registering an account, adding AutoPay or making on-time payments. They can earn even more by participating in an integrated points-sharing universe that includes over 1,500 mPlus Rewards powered applications and a number of other offers that will be included in the program through social media, events, and sponsorship activities. Shopping with gift cards at participating retailers including AMC Movie theaters, Amazon, GameStop, Old Navy, Sears & Target and loads more. Entering sweepstakes to win big prizes and exclusive experiences. Making charitable donations to local and national organizations including the American Heart Association, ASPCA, the Make-a-Wish Foundation and more. Cricket is teaming up with AMC Movie Theaters to give consumers a chance to earn more points by simply checking in when they see a flick. And Cricket is launching a new $ 25,000 Selfie Sweepstakes – customers who enter not only get a chance at the big grand prize and lots of other cool swag, they also get extra Cricket Rewards points just for entering. More reasons Cricket is the “Merrier Carrier” this holiday season. The My Cricket app and Cricketwireless.com include a fully integrated dashboard so consumers can easily track their mPLUS Rewards. There is no limit to the number of points customers can earn, and there is no expiration date on points as long as you stay engaged/active in mPLUS Rewards – so customers can save up for something special or sample a variety of rewards. Cricket is bringing consumers more value with a simple, friendly, and reliable nationwide wireless experience with no annual contract. The power of Cricket is our nationwide 4G LTE network that covers more than 310 million people; easy and affordable plans prices that include taxes and fees – no surprises; and a great selection of phones customers love. Cricket, Something to Smile About. 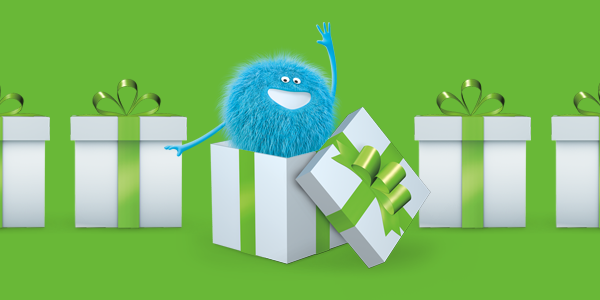 To check out the new Cricket or find a store near you, visit www.cricketwireless.com. And connect with us on Facebook at www.facebook.com/cricketnation and Twitter at www.twitter.com/cricketnation.